Gary McCracken took 3 graduate students (Amanda Janicki, Riley Bernard, and Melqui Gamba Rios) to the International Bat Research Conference in Costa Rica in August. It was the largest bat meeting ever, with over 600 participants from 55 countries. 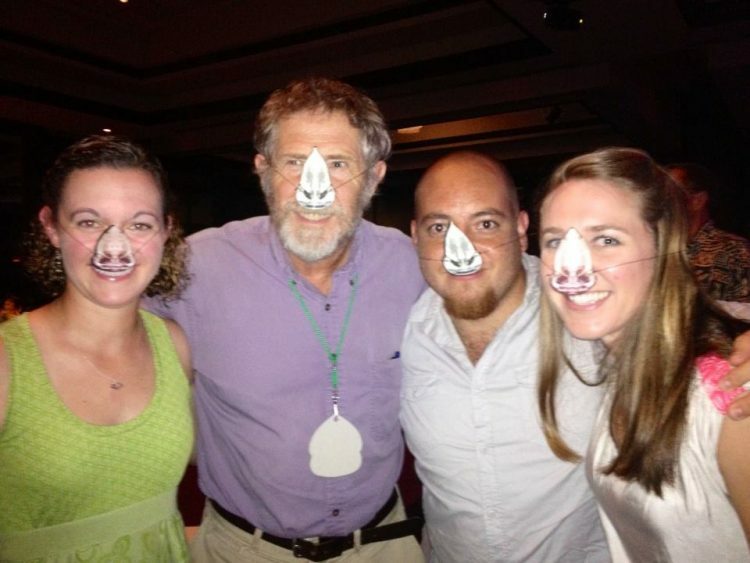 Below is a photo of the group wearing leaf-noses (which tropical bats have – see the link for a news article about the conference and tropical bats).